My fingerprint this week is just summer. The heat, the swimming, the laziness, the silliness, the fun, the bugs, all of it. We are loving every minute of it! Love that picture. 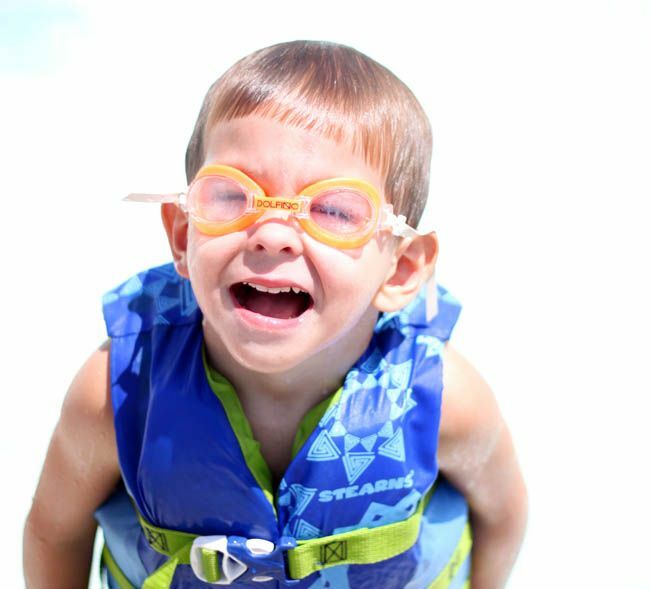 What is it about kids and goggles? Then they make those faces!! Too fun. How funny!!!! Glad you are all having fun. It goes by so fast. What a face, can I have him, lol! LOL...so cute and funny! All kids seem to love those goggles. We have to buy new ones each year because after the new wears off each summer, the goggles either get lost or broken. The kids are fine without them until summer comes around again and all the grandkids want new goggles. I should find out who makes goggles and invest in the company.